When we are born, we are born fighting on a ‘battlefield’. We fight for the right to eat, the right to learn, and more simply the right to live. However, for some people this ‘battle’ takes on a new meaning when disease becomes their new adversary. Such an adversary usually solicits one of two responses, submission or rebellion. For Rhio O’Connor, a patient diagnosed with Mesothelioma, submission was not an option. This rare type of cancer is also known as asbestos cancer, as it is believed that exposure to this naturally occurring material can cause the disease. The mesotheliums are sac-like membranes that protect most of the body’s internal organs. The mesothelium’s function is to ease the movement of organs in body cavities, by releasing lubricating fluids. However, when cancerous cells enter the body’s mesothelium they wreak havoc, as they release excess fluid which hinders the body’s natural functioning. This disease is very difficult to detect and treat, thus making any prognosis bleak and unhopeful. However, O’Connor’s prognosis of one year didn’t stop him from courageously fighting a seemingly losing battle against cancer. 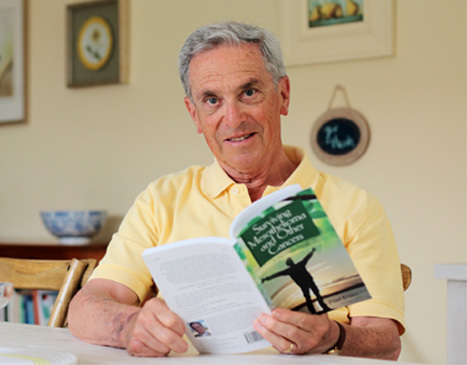 O’Connor’s brave battle against Mesothelioma allowed him to outlive his prognosis by 6 years, thus proving that if you have a fighting spirit you have already won half the battle. Having a fighting spirit doesn’t only mean approaching your illness with a positive attitude; it also requires that you make well informed decisions. Through extensive reading, research, and collaboration, O’Connor managed to persevere and live well past his prognosis. I believe that anyone can face the challenges of a dire cancer prognosis; all they need to do is create their own coping mechanism. Every body, mind, and spirit is different, thus making it necessary for every cancer patient to customize their own treatment. If I were given a bleak prognosis I would ask three integral questions: How much has the cancer metastasized? What are my subsequent treatment options? And, what alternative treatments are available to me? In order to get an accurate understanding of my diagnosis I would consult several oncologists, cancer research centers, and fellow cancer patients. As I mentioned before, every person has their own coping methods- spirituality, exercise, meditation, etc. Consequently, I believe it is vital for any cancer patient to personalize their own treatment. After collecting an adequate amount of medical understanding, I would design my own physical, spiritual and mental treatments. Many people may underestimate the medicinal value in the aforementioned treatments; however they seem to forget the interdependent nature of the body, mind, and soul. First and foremost, it is important to cater to the body. If surgery, radiation, and chemotherapy are no longer viable options, I think it’s necessary to unearth new treatments. Depending on how advanced your cancer is or what type of treatment you are receiving, some people believe that acupuncture can be an effective supplemental treatment. Acupuncture is an ancient Chinese medicinal practice that inserts sterile needles in strategic areas of the body- acupoints- to stimulate the flow of energy along specific pathways called meridians. It is believed that the free flow of energy through the meridians stimulates the immune system, thus revitalizing your body’s healing response and controlling pain and other symptoms that interrupt the flow of energy throughout the body. Although doctor’s might advise using acupuncture as a supplemental treatment, people with seemingly hopeless prognoses might choose to use it as method of alleviating fatigue, chronic pain and discomfort caused by their illness. Many people also use naturopathic medicine as a treatment for cancer, as it takes a holistic approach to cancer care. This type of treatment uses natural remedies to strengthen the body’s immune system, thus improving its ability to defend and consequently heal itself. Naturopathic medicine aims to support and maintain a normal metabolism for a cancer patient, in addition to reducing the side effects associated with cancer treatment. Moreover, the treatment also aims to increase the longevity of a cancer patient’s life by promoting programs that improve digestion, sleep, energy levels, diet and exercise practices. I believe that alternative treatments like naturopathic medicine should be heavily supported because they promote the belief that cancer is not merely a malady of the body, as it also affects the mind and soul. This treatment reinforces the need for cancer patients to use their full ‘arsenal’ of treatments against cancer. It is essential for cancer patients to cater to both their body and their mind. Consequently, it only seems appropriate that there is a rapidly evolving field of mind-body medicine treatment which has taken the name Psychoneuroimmunology (PNI). This medicine examines the interdependent nature of the human mind, emotions and body. Experts in this field closely analyze the impact that patients’ attitudes and personal beliefs have on their well being. Various techniques such as deep breathing, guided imagery, relaxation therapy, meditation, and yoga are used to improve the connection between a patients mind and body. More often than not, cancer affects someone’s appearance, ergo their self confidence. Subsequently, an easy way to improve one’s mental state is to improve their appearance. Sometimes doing something as simple as getting a new wardrobe or getting a makeover can greatly ameliorate the quality of a patient’s life. Last but not least, I believe that finding some kind of spiritual connection is important because it can give a patient a renewed sense of purpose or understanding. Recent scientific studies have found that there is a correlation between spirituality and good health. During times of crises- such as disease- spirituality can reduce the stress, depression and discomfort associated with cancer. In addition to this, spirituality also promotes a positive attitude, which can result in inner peace, or an acceptance of the inevitable. Most importantly, organized religion also provides a powerful and expansive support network that makes patients feel less isolated and disconnected from the world. The hardest aspects of being sick are the inescapable frailty a patient experiences and the haunting question: how long will I live? Patients who have such support networks and coping mechanisms tend to have a better quality of life, because they are better able to deal with the stresses and anxiety associated with cancer. In conclusion, cancer treatment doesn’t always have to be ‘chemical warfare.’ Every body, mind, and soul is unique, therefore making it impossible for doctors to create a ‘blanket’ treatment for cancer, as there are so many kinds with different severity levels. Incorporating natural medicines into mainstream cancer treatment is a positive change, as it provides an alternative to conventional cancer treatments, which are often painful and expensive. O’Connor’s experience testifies to how successful a cancer patient taking treatment into their own hands can be. The most important thing to remember is that you should be active in your own recovery process. No one knows your body like you do, therefore only you can say what treatments are effective and which are not. 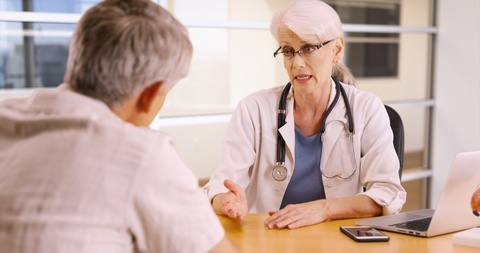 Take your treatment into your own hands, but never forget to solicit the advice of professional doctors during the process, as they almost always possess accurate and up to date knowledge of cancer treatments. I believe it’s necessary for cancer patients to take a more holistic approach to their treatment regimen, because our bodies and souls are inextricably connected, therefore making it unreasonable to ignore one or the other.